A Boxing Glove in MMA? I know what some of you are wondering. You see people training for MMA bouts in the gym with traditional 16oz boxing gloves even though they fight with MMA gloves in the cage. If you have been a fan of the sport and have been watching it for some time, you may very well be considering signing on for lessons. That is definitely a good thing because there is much value associated with MMA lessons. But, there can also be a little confusion and it often is because of the first "M" in MMA. It stands for "mixed" which means there are several different martial arts integrated into the system. One such art is the sweet science of boxing and it has to be trained separately in order to develop a reasonable level of striking skills. Once solid skills are developed in isolation, it may become possible to cross train the art in with the total discipline of MMA. So, in order to do this, you need to use traditional gloves as opposed to MMA gloves when isolating your striking training. Boxing is an art and science that has been around for thousands of years. While the art predates the Roman Empire, these gloves have only been around maybe 150 years. 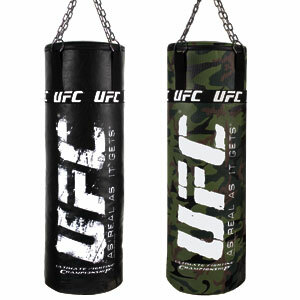 They are designed to maximize the safety and effectiveness of boxing training. That is why MMA gyms do not disregard using the gloves in their programs. Boxing gloves serves two purposes: they protect your hand from injury and protect the body of your training partner. Remember, the hand is comprised of small bones known as knuckles. When a punch impacts a surface, the knuckles compress which means they can shatter. Gloves prevent this from happening. And, in sparring, the gloves also prevent serious damage and lacerations to your partner/opponent. Prior to the development of gloves, boxing was a brutal sport known as pugilism which was far rougher and more dangerous. The advent of gloves has helped the sport evolve tremendously. Again, that is why MMA gyms do not ignore their use. 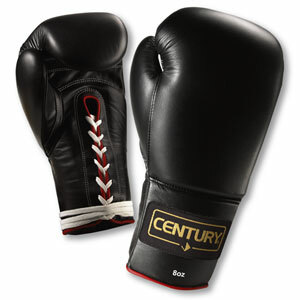 Specifically, MMA gyms employ these gloves in the boxing and kickboxing component of the workout. While actually MMA competition differs significantly from pure striking competitions, it is not wise to eliminate traditional striking training from the process. Really, you do not want to completely eliminate a workable straining model. In terms of frequency, you will be training with gloves any time you step into a striking training session. This will vary depending upon your own personal situation and the amount of time you wish to invest in this type of stand up training. In general, you will need at least 2 - 3 hours a week of stand up training in order to become effective. Yes, some may work out a little less and gain results but most people need those extra lessons in order to get noticeable results. Sometimes, boxing gloves can be integrated into grappling training as well. A common drill that could be employed would be to have one person wear the gloves and box while the other person would be trying to shoot in and wrestle. This is a variant of isolation sparring and it is very helpful to developing skill in MMA. And speaking of sparring, you will most definitely want to use traditional boxing gloves when you are isolating stand up in the ring. Yes, you will need to also use MMA gloves as well but their use should be limited. 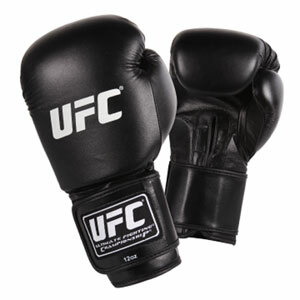 MMA gloves are very light and that means the person on the receiving end will take a walloping over several rounds. Rather than train like this, it would be much better to use boxing gloves which are safer and easier to use. While MMA can be considered a creative martial art, it is never a good idea to start becoming creative with safety equipment. Standard boxing gloves work well and their inclusion into MMA training is a must. Keep that in mind when you start on your MMA journey. There is a new program out there called CrossFit. It is a stellar program and teaches you how to be an all around athlete. CrossFit says "Our specialty is not specializing." CrossFit is incredible and some we’ve used the routines to train for various sports. 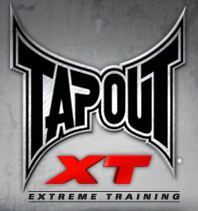 Some professional MMA fighters use it and it is worth checking out. You do have to be comfortable scaling, and developing your own program as far as rest and combining it with your sport. One option is to look into interval training that is tailored to your sport. There are several options out there that are good. Check them out thoroughly and they might work for you.